Building Demolition - Our vast practical experience with home removal, commercial tear downs, and industrial demolitions, will ensure a secure and complete job. Whether your need is residential, commercial or industrial, Arwood Site Services is your contractor of choice. Emergency Clean-up - Disaster can strike at any moment and Arwood Site Services will come to the rescue! We can quickly and safely remove debri and materials as well as excavate an area for rebuilding. Our trained experts and fleet of specialized equipment will have your area clear in no time! Driveway and Concrete Removal - When you have a need to rebuild your driveway, reshape your existing patio, or remove your sidewalk, Arwood Site Services can get the job done! We will cut, remove and dispose of the entire concrete area or just a small area. When the work is done, we take the concrete to a recycling facility where concrete recyclers crush and reuse the concrete as an aggregate in new cement. This keeps your cost down as dumping costs can be high. It is also better for our environment to recycle and reuse those materials so you can feel better about your contribution. Swimming Pool Removal - Sometimes an older pool can create a problem for homeowners. Whether it is just an eyesore or an actual danger to others, Arwood Site Services can either remove a portion of the pool, fill with dirt and gravel or we can remove the entire pool, starting with draining it. All permits will be obtained prior to demolition so you don’t have to worry about the details. 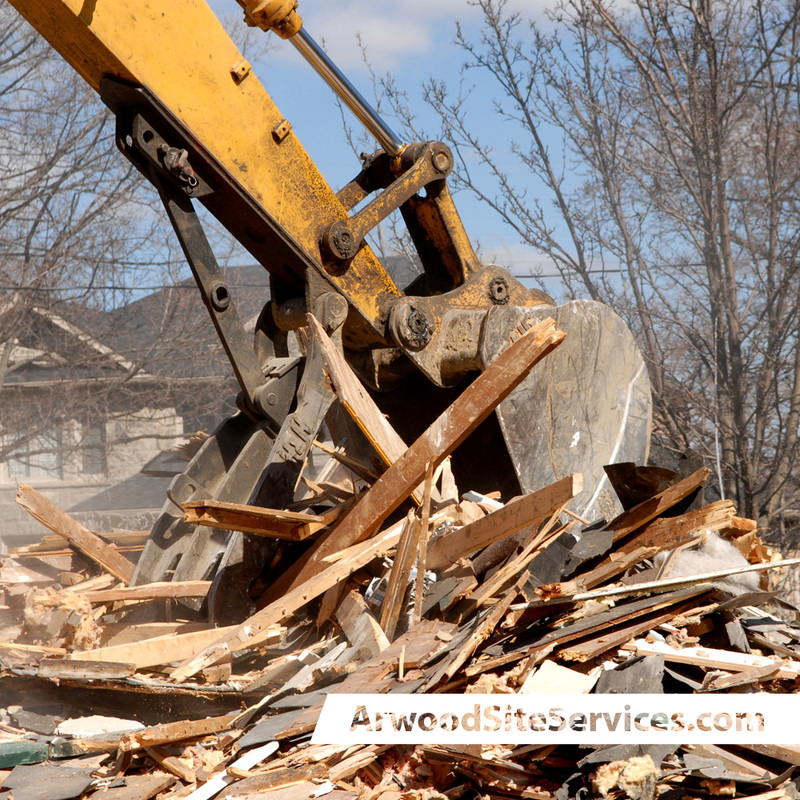 Area Demolition - If your bathroom, kitchen or other area needs renovating, Arwood Site Services can do the demolition for you. Our expertise in interior demolitions, is second to none. From disassembling to clean up, we will finish the job leaving your area ready for renovation. And you can rest assured, that all materials will be recycled or disposed of safely and effectively.